Dress code: Casual/dress trousers, skirts. Shirts must have collars&sleeves. Shorts must be of Bermuda length. No tank tops, tee shirts/cut-offs. "Best course in the area." The Links is an outstanding course, particularly if you enjoy links style golf. 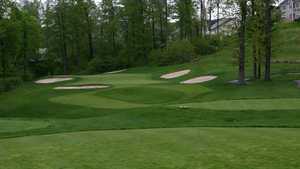 The course is in great shape, the holes are in great variety, and the staff and facilities are first rate. Course in fantastic condition considering the amount of rain we have had. Would have preferred it wasn’t cart path only though. 90 degrees could have passed. Greens really fast. 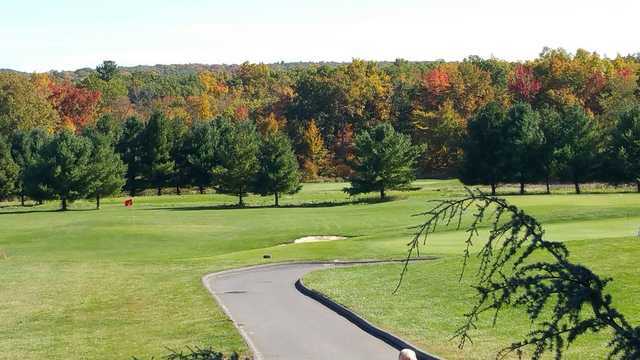 All in all a great late October round of golf. The course truly feels like it's in Ireland. 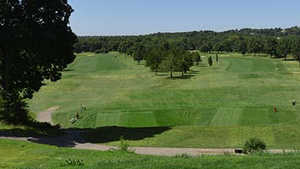 Very green hills surround the course with beautiful views and the course layout incorporates rolling, but subtle hills. It was well-manicured and the staff were very friendly. Rangers patrolled to keep the pace but we had no problems. We finished our round in 4 hours on a Friday morning. The only advisory is that the greens were lightning fast - a slight tap and the ball rolled 20 yards. And the greens had a fair number of bare spots, too. It was disappointing that the golf carts did not have GPS - but I was happy that my little GolfBuddy GPS recognized it so we weren't completely blind. Love this place must play every year! Given all the rain we’ve had recently, the course was playing extremely well. It’s a challenging tract, and the fact that all the greens were aerated made them largely unputtable. I would have appreciated knowing in advance that all the greens had recently been aerated. "You’ll never find a public golf course that comes close." 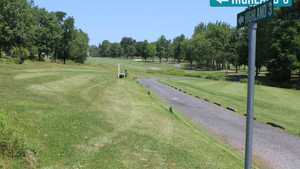 I dare you to find a public golf course that can compare with The Links at Union Vale. And please don’t say Centennial because it’s not even close. 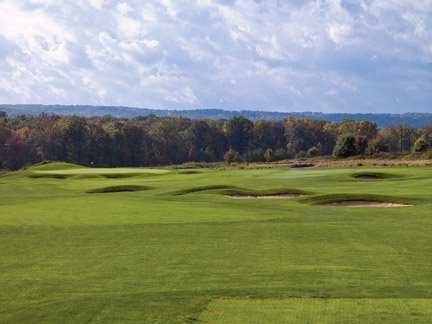 Most true seasoned golfers prioritize greatness in a golf course by its design and layout, and how the designers are able to use the land naturally to accomplish their goals set down in writing by architects. The Links is truly a Great golf course design and the crew has continuously outdone themselves by improving conditions every year. 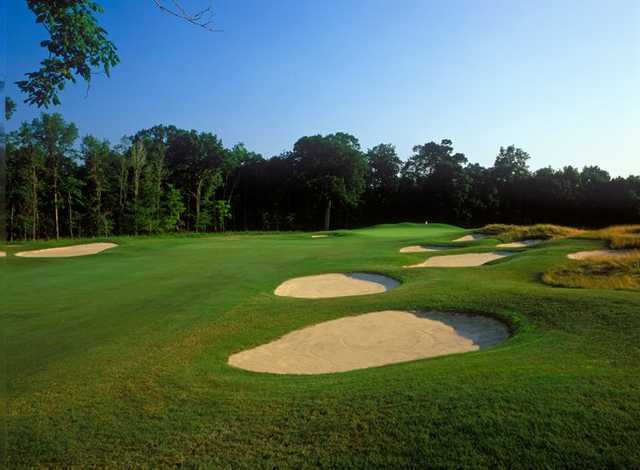 The golf course is in championship shape and with impeccably true greens rolling at around 12 on the stimpmeter, they could easily meet the standards set by many of Westchester and the Husdon Valley’s exclusive private country clubs. Oh, and did I mention my prime time early morning round cost 60 dollars? Yea. . . So if you’re looking for a truly marvelous golf experience that won’t break the bank, look no further and take a ride over to the Links at Union Vale and see for yourself. Considering the heavy rains of the last week or so the course was in great shape. A few spots were soggy but the ‘carts path only’ rule prevented any damage. Always a treat to play. The staff was very friendly and professional. The food was very good as well. Great atmosphere. As always cart path only will slow the pace of play. "Don't play here on the weekend"
Don't play this course on the weekend. The pace of play is torture!!! 5 1/2 hours to play 15 holes and we quit! Ranger was out on the course but did nothing to speed up play. At one point there were 5 foursomes waiting on 1 hole. Numerous calls to clubhouse by several groups to no avail. 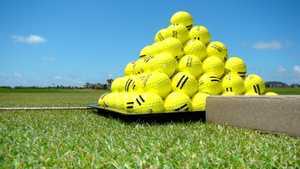 "Slow play and no marshals." I have played this course many times but I’m not sure I will hurry back. When it’s 95 degrees and you have no shade on the course one would think they would be interested in keeping the pace of play up. Well there was no marshals at all and when I called to complain the pro shop said they were short staffed and weren’t sure they could get someone out. I’m sorry but for the price they charge this is not an acceptable excuse. It’s a beautiful course and it’s in nice condition but pace of play makes it hard to recommend it. 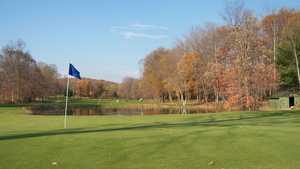 "Beautiful Course in Dutchess County"
I play this course every time I’m in the area, the conditions were outstanding this year. 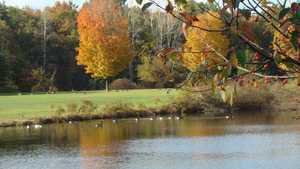 The views are awesome, the staff are friendly and the new carts are quite comfortable. Would highly recommend !